The late Phyllis Hyman was one of Philadelphia's most gifted vocalists. Born in Philadelphia and raised in Pittsburgh, PA., Ms. Hyman possessed an unforgettably resonant, sultry voice that led to a critically acclaimed career as an R&B and jazz diva. Her early recordings for musician/producer Norman Connors included her hit version of "Betcha By Golly Wow" and in 1977, she released her debut album which featured the hits "Loving You," "Losing You" and "I Don't Wanna Lose You." After signing with Arista Records, Phyllis expanded her international audience via her albums Somewhere in My Lifetime, Can't We Fall in Love Again, and the album that bears the title of one of her biggest hit singles, You Know How to Love Me. Ms. Hyman was a powerfully striking woman whose versatility as a performer enthralled her audiences. She starred on Broadway and was nominated for a Tony award in the critically acclaimed tribute to Duke Ellington, Sophisticated Ladies. She gave countless sold out performances in the United States, Europe and Japan where she was beloved by a following of loyal fans. Her motion picture debut was made in Spike Lee's School Daze and her performance of "Be One" was a highlight of the films soundtrack. 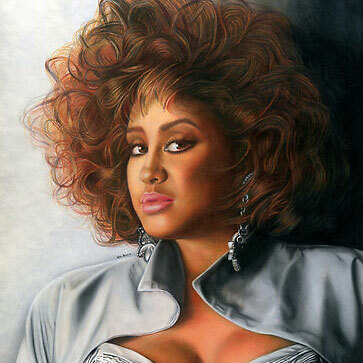 In 1986 she returned to Philadelphia and signed with her friend and mentor Kenny Gamble at Philadelphia International Records. Their hit album, Living All Alone included the now-classic single, "Old Friend." In 1991 Phyllis enjoyed her first ever #1 R&B smash with "Don't Wanna Change the World," from the album Prime of My Life. To her public, Phyllis Hyman had achieved popular success and critical acclaim, a combination that is often elusive. However, to those close to her, Phyllis was always searching for a deeper meaning to her life and her career, and was often plagued with self-criticism. Teaming with Kenny Gamble seemed to form a new confidence, however, and in a 1991 interview (David Nathan, contributing writer to Billboard) she mused wisely about the effect of her talent. "Up until 5 years ago, I didn't listen that much to myself... When people would say they loved my voice, I'd wonder, 'Why are they moved?' Now, I'm beginning to understand how people can be turned on by my singing... I've been told that people can feel a lot more love and calm coming from me these days." I Refuse To Be Lonely (1995) was Ms. Hyman's last and most personal album. It is a beautiful and haunting record of the emotional pain that fueled the life, and untimely death of this complex and extraordinarily gifted artist. Said long time friend Nancy Wilson, "She was a rare beauty, and in my estimation one of the great voices of our time." Roberta Flack echoed the sentiments of all of Phyllis' fans when she said, "Phyllis' voice, at once breathy and resonant, will sing in my heart and spirit forever. I am personally grateful for this chance to hear her once more." Her friends and fans in Philadelphia, and around the world, pay tribute to this great woman and spectacular talent.